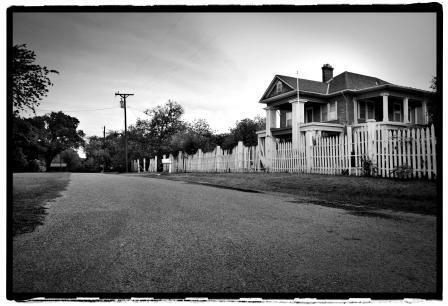 In the southern McLennan County city of Bruceville, locals tell of two boys who wander the streets at night in search of mischief. The impish children died sometime during the latter half of the nineteenth century from a severe fever after being cooped up and bed-ridden for weeks. Anxious to run around and cause trouble, the spirits can be seen walking the streets during the early hours, dressed in their wool knickerbockers. When spotted, the two boys quickly disappear into the darkness, giggling as they vanish.